Ladies, these are seriously so good and fit easily in the freezer. I have one usually for breakfast or after a workout and let me tell you, they are so filling! I've found that I can actually make 2 per bag, which is super cool and saves money!! 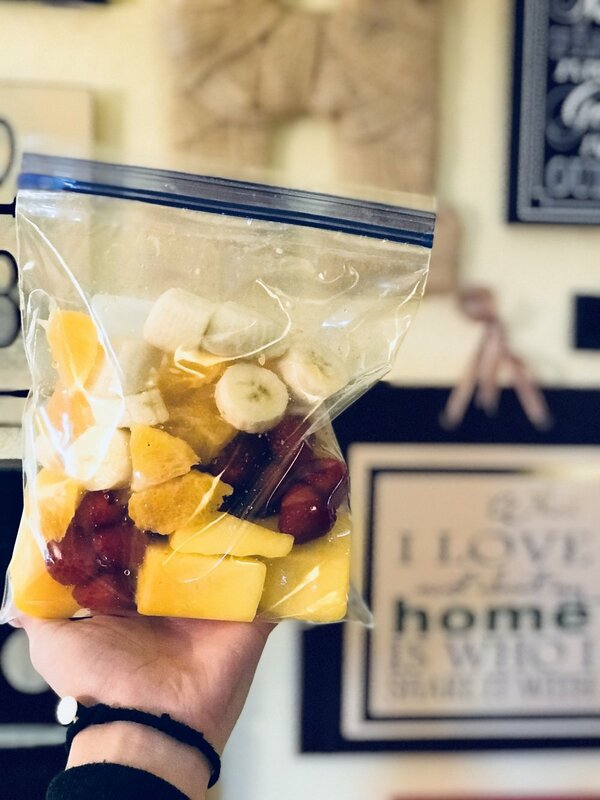 So, I give you my four favorite Pinterest Inspired smoothies!! Enjoy! You can also add protein powder to any of these as well!! It depends on my mood if I'll add a scoop or not. Prep and Freeze these easy smoothies and you'll be happy, full and energized.